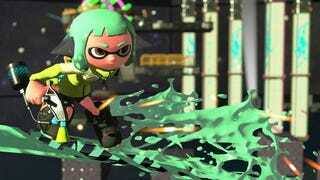 Everyone’s going crazy about how good Splatoon 2's multiplayer is, and for good reason. With my little experience with it in the Testfire and two Splatfests, turf wars are exhilarating to play. But what a considerably smaller number of people are talking about is the single-player campaign. There are a few reasons for this. First, it’s pretty short, so most people are already done with it at this point. Second, at its core, it doesn’t differentiate from the original’s single-player campaign, Octo Valley, in any radical way, although it should be noted that it was already damn good. But hey, I’m late to the party, and I have things to write, so I’m gonna write ‘em. Octo Canyon can be viewed as a sort of “training” for the star of the show, multiplayer combat, but I think that sells it a bit short. While multiplayer combat is fast and exciting, Octo Canyon can play at a significantly slower pace, if you decide to. It’s an entire different way to play Splatoon that no-one should miss out on. One of the biggest changes for Octo Canyon is that you play with different weapons. Whereas you only had one weapon, the splattershot, in Octo Valley, Octo Canyon has the whole deal. Almost every major weapon in the main game is used at least once. With very few exceptions, the game will force you to use a certain weapon the first time you play a certain level, and the level is developed with that particular weapon in mind. Not only does this get the player acquainted with each weapon before going into multiplayer, but it also makes the levels themselves more varied. There’s a lot more interesting things you can do with a level when you know what they player is using than developing a level where you have to cater for any possible weapon. What makes Octo Canyon so gosh-darn fun, however, is what made Octo Valley so fun. Everything from the awful wonderful puns, beautiful backgrounds, and hilarious enemy designs, to, of course, the bosses, is an upgrade of what you got in the original. If Octo Valley was Super Mario Galaxy, then Octo Canyon would be Super Mario Galaxy 2. It doesn’t change the series forever. It doesn’t do something drastically new or different. It just does what it’s been doing, with a few tweaks here and there.